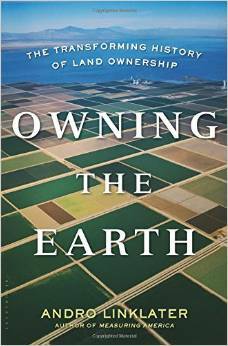 Andro Linklater’s book Owning the Earth – the Transforming History of Land Ownership is a fascinating chronicle in the history of civilisation. “In three frenzied years, from 1537 to 1539, he bought almost twenty properties in the southeast of England at a cost of £38,000, then sold most of them again for a total profit of more than £4000…..
Why did landowners want to enclose their property? Because they ran sheep and when the sheep were confined to one area bounded by hedges or ditches or stone walls, they manured the soil. The word ‘manure’ also meant ‘improve’. Their land was then more productive. So let’s go back to 1485 and follow it through. 1549 Robert Kett’s rebellion against enclosures. None statutes and 3 government commissions designed to prevent ploughland being turned into pasture and highways being thronged with homeless who were dispossessed of their land. 1517-1537 fines or imprisonment for those who enclosed land including 264 peers, bishops and knights. 1533 Inheritance issue. Struggle was won by the landowners and Henry V111 found that he was short of taxes.